Another week has come and gone and, before you know it, it’s time to plan for the weekend! Keep your calendar full by walking for the greater good, schmoozing with your fellow winos, and keeping an eye out for the next big tech innovations! Enjoy the week ahead with ABCey and our top event picks. 1. Silicon Valley Innovation Summit | July 23rd-24th, 2013 | Computer History Museum, Mountain View, Ca |The tech industry’s top entrepreneurs, corporate players, innovators, and investors come together under one roof for two days all in the name of technology! Get ready for rousing debates and discourse on entertainment, digital media, cloud technology, and more. The summit is exclusive in order to retain an intimate, connection-based atmosphere- we hope you’re lucky enough to score a seat! 2. AIDS Walk San Francisco | July 21st, 2013 | 9:30 a.m.- 1:30 p.m.| Sharon Meadow, Golden Gate Park | You’ve seen hundreds of ads around the city for months and the big day is finally here! It’s time to support and give back to the community in a fun, active way with a beautiful walk through Golden Gate Park. Every penny of the $1.7 million dollars raised so far (and rising!) 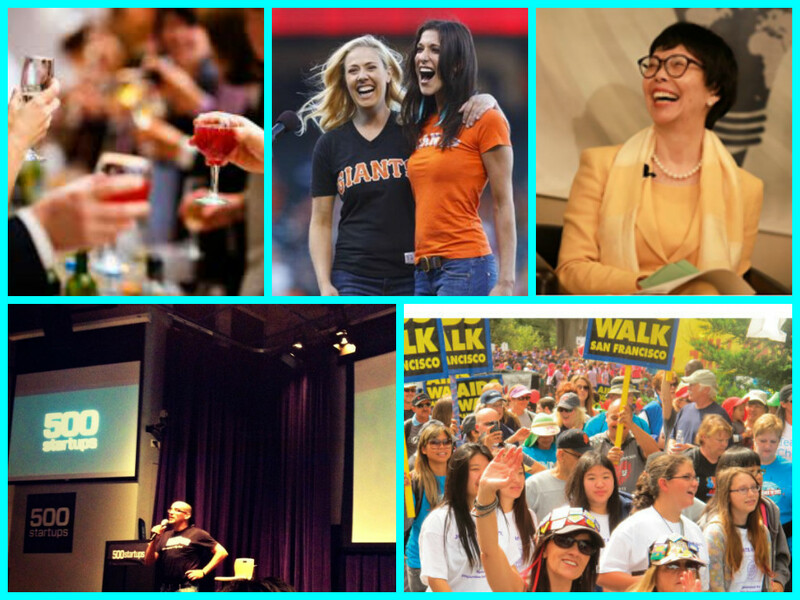 goes directly to San Francisco-based charities that support AIDS victims and research. 3. Winestock | July 20th-21st, 2013 | Firehouse 8 | For all you oenologists out there, bring your tasting glasses and get ready to taste over 100 different wines! Celebrate Napa Valley’s prosperous wine industry with a weekend in the company of winemakers, local artisans, and foodies galore. Don’t forget to attend one of the master classes, like the ones on sparkling wines or 3-course tasting menus! 4. 500 Startups Demo Day | July 24th- 25th, 2013 | Demo Day is the first glimpse into the major players that will participate in 500 Startups, a series of events to fund early-stage companies. Although this event is mainly for serious investors and the 500 Startups participants, keep an eye on this one! Something tells us big things will be happening here. 5. Industry Night with the SF Giants | July 24th, 2013 | 5:00 p.m.- 7:00 p.m. | 24 Willie Mays Plaza | In addition to seeing the Giants kill the Cincinnati Reds, attend Industry Night for an early pre-game! A full bar and local DJ talents are sure to get you excited to cheer on your Giants. Plus, you get some sick free Giants headphones! 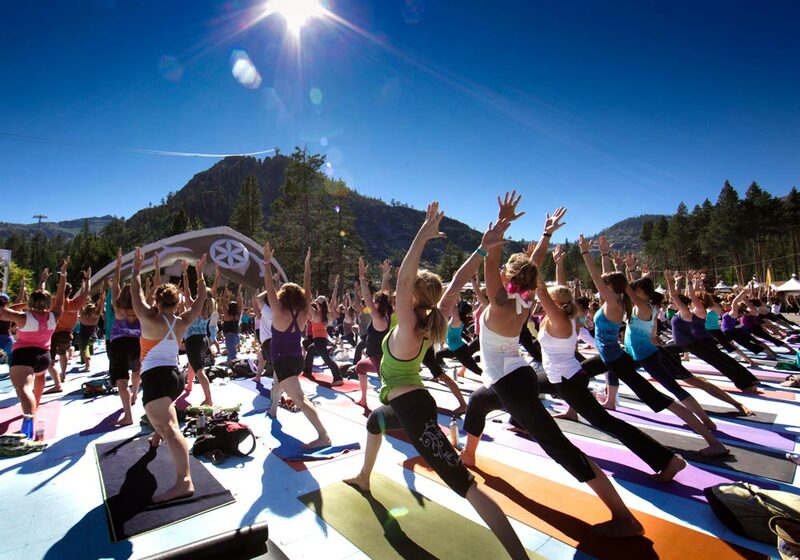 Wanderlust Festival |July 18th-21st, 2013 | Squaw Valley, Ca | Are you ready to find your true North? This four-day festival celebrating yoga, music, and nature is the place to be for those seeking peace of mind and holistic wellbeing! Between the massages, wide selection of yoga classes, and hikes in the picturesque wilderness, you”ll never want to leave. What will you be doing this weekend? Tell us in the comment section or on Facebook and Twitter!